Now is the perfect time to ensure that your youth gain valuable experience before the VBS recruiting starts. I can say from past experience that helping out in these meaningful contexts enabled me to grow as a servant and learn how to value my time as a VBS youth volunteer. 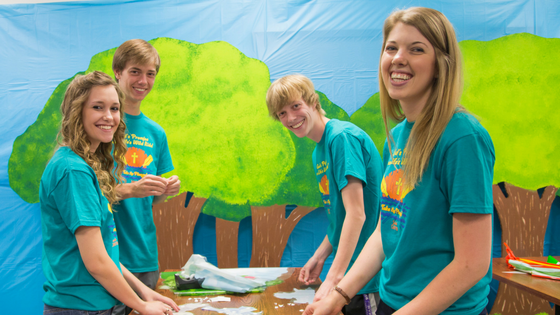 Here's how to get youth involved and prepared in the weeks and months before VBS begins. Have your youth serve in other church roles. Most churches allow youth to serve as teacher’s aides, helping with crafts, games, and other small activities. My home church was in need of anyone who was interested, so I was recruited to help teach Sunday School lessons every other week with the other teens from my church. The same went for our midweek Bible study classes; I served first as a helper, prepping crafts and cleaning up, and then I helped teach when I was older. Encourage your youth to get involved in these classroom roles. This is an especially good experience because the teens will learn how to handle kids in a classroom setting, similar to how VBS operates. Point them toward school volunteer programs. The public middle and high schools that I attended provided programs like “Bring a Friend to Lunch” day and “Read to a Friend” day. These were once-a-month volunteer opportunities that connected teens with younger students in a positive environment and activity. These types of volunteer programs ease youth into doing something fun and simple with kids. This will set them up to work with kids at VBS for longer periods of time. 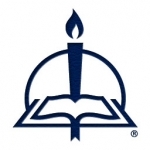 If your youth attend a Christian school, perhaps there’s a chapel program like this in place. Each year students were assigned to be a “chapel buddy” to a younger student. Every Wednesday they accompany their younger buddy to chapel and serve as their mentor and role model, helping them navigate the hymnal or service folder. It’s a great opportunity to grow more comfortable being around kids while setting a positive example they can follow. Make meaningful connections at camps and retreats. If your youth is old enough to gain this experience, they should try it out! As a definite introvert, I grew a lot after just one summer as a camp counselor and was pushed in a positive direction toward teaching kids about Jesus as their Savior. Camp is one of the most beneficial settings for preparation to serve at VBS. The same goes for sports camps and youth retreats that provide a focus on ministry to others. If they’re not quite old enough to serve at the counselor level, there are a lot of camps that offer youth servant programs. Look for titles like “youth servant leader,” “junior servant,” and “junior counselor” on camp websites. Provide other purposeful youth opportunities. I don’t know of many middle or high school girls who haven’t babysat some time in their life. If the opportunity arises to volunteer or work at an after-school day-care program, I say challenge youth to go for it. Next to camp, my high school job at the public school’s day care was the most meaningful experience in working with kids. Again, it’s beneficial to be with kids in the classroom setting, where you get to teach and entertain. I’ve also seen plenty of young men and women serving their community in the position of assistant coach for a youth athletic team. As any other role model position, this is one that grants constructive development in a leadership role. Whether it’s time spent with siblings, with friend’s siblings, or at church or school programs, any time spent with kids is a positive experience that will help them as a VBS volunteer. As you prepare to recruit for Splash Canyon VBS in the upcoming months, be on the lookout for posts on training youth volunteers and measuring the goals you’ve set for them. Ready to start volunteer training now? Check out all of our Volunteer Training Resources for VBS 2018!